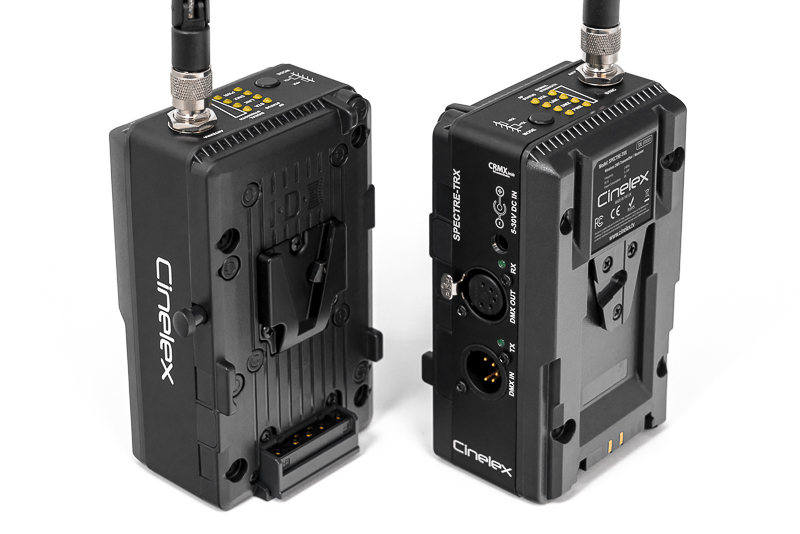 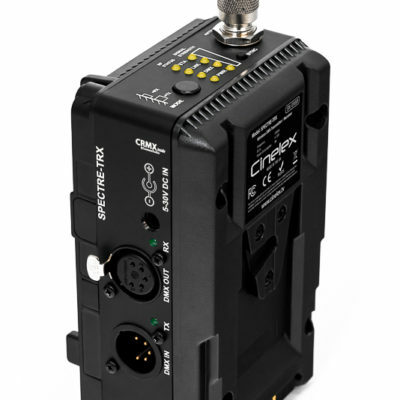 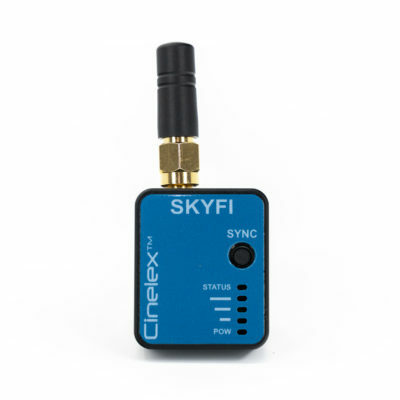 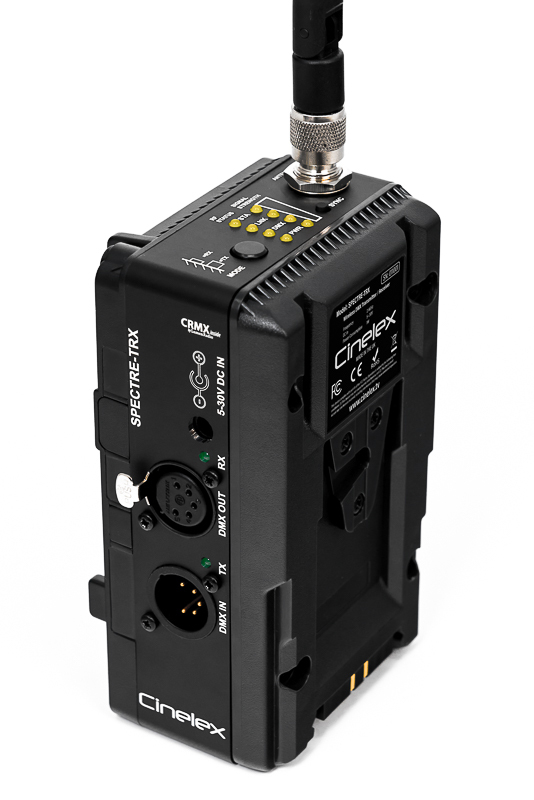 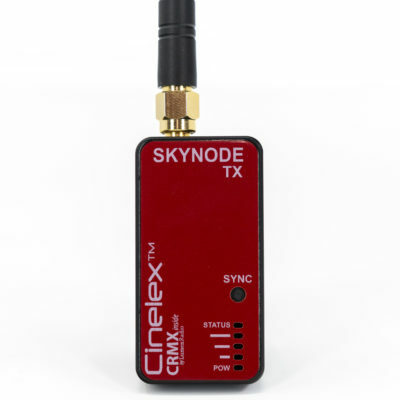 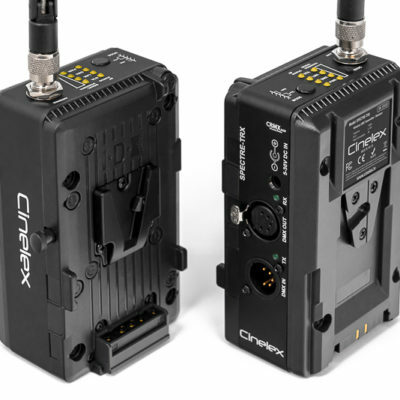 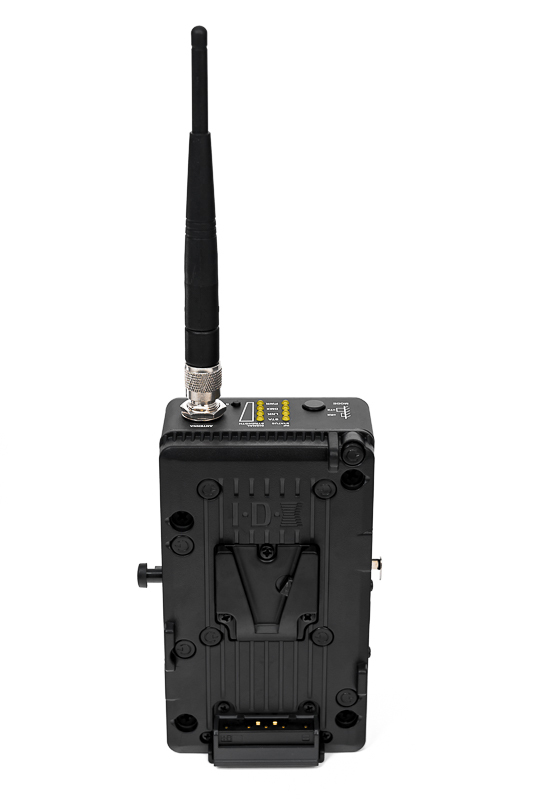 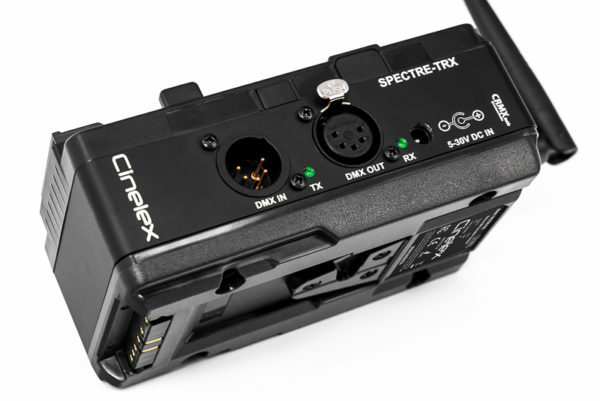 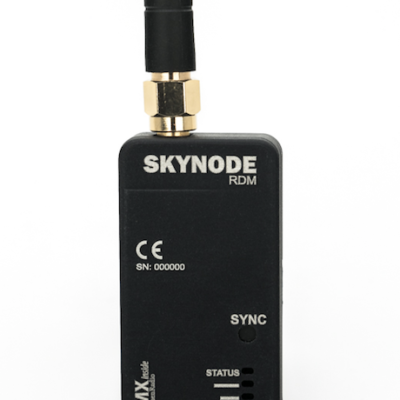 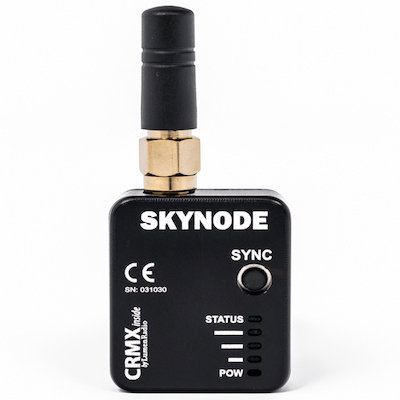 TRX-V by Cinelex is an all-in-one transmitter & receiver enabling wireless control of any DMX-capable light. 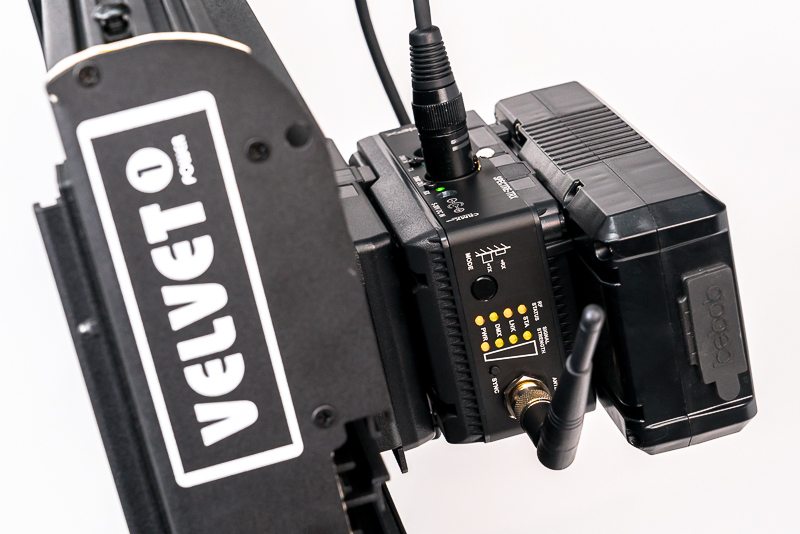 Switching between ‘receive’ or ’transmit’ modes is completed immediately at the touch of a button. As a receiver, TRX-V mounts directly to a light fixture using its V-Mount* battery plate. 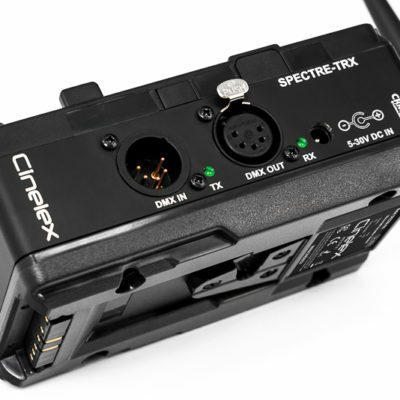 In turn, a battery docked to TRX-V simultaneously supplies power to the light and TRX-V itself. Once mounted, powered & synchronised – TRX-V receives & relays all signals to the light through the fixture’s DMX input. 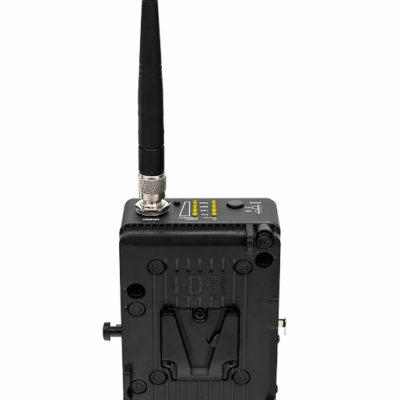 In ‘transmit’ mode, TRX-V becomes a wireless DMX transmitter. 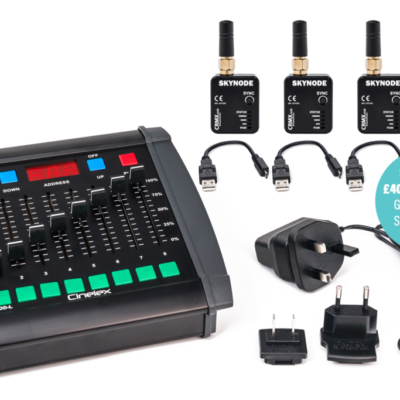 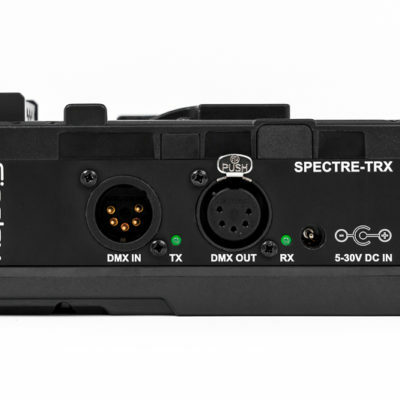 When tethered to a lighting control desk, the unit wirelessly beams all signals to it synced receivers. 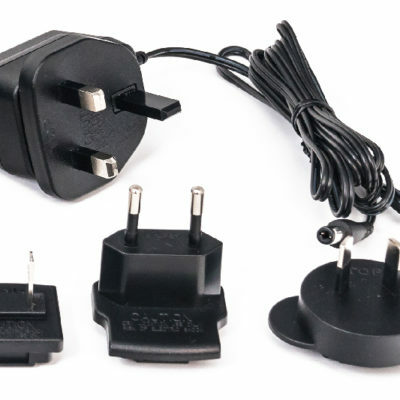 A 5-30V DC input allows continuous power using the including multi-country AC adaptor – ideal when tethered to a control desk. Manufactured for professionals, TRX-V is constructed from extruded aluminium and is built to withstand tough rental & on-set environments. 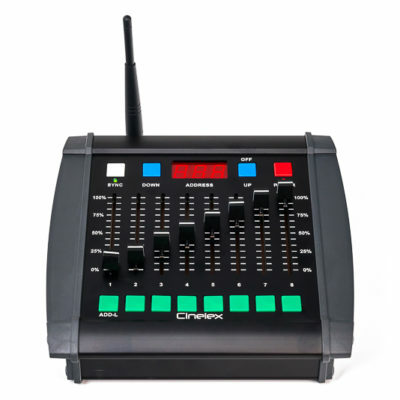 LED lights display the status of several functions, including active mode & signal strength. 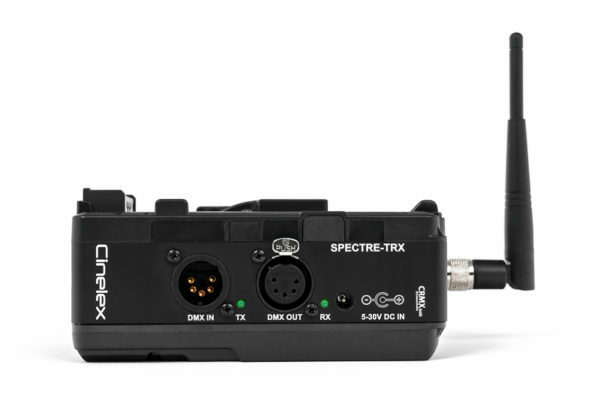 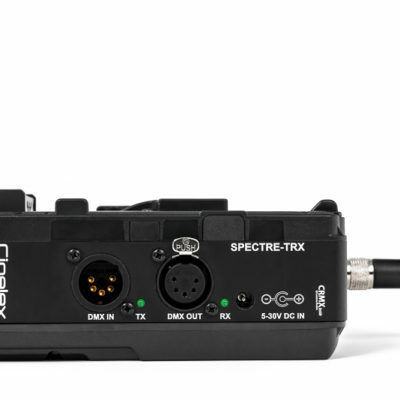 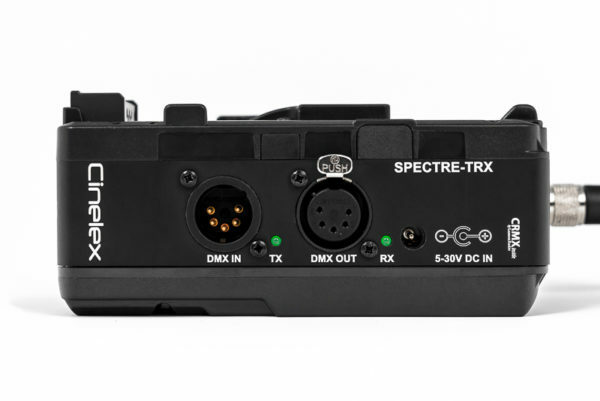 Full-size 5-pin XLR in & out connectors means integration with existing equipment is seamless and pain-free. 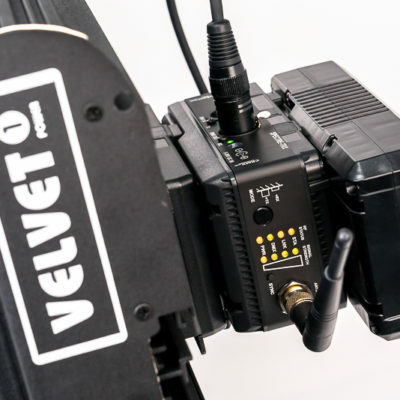 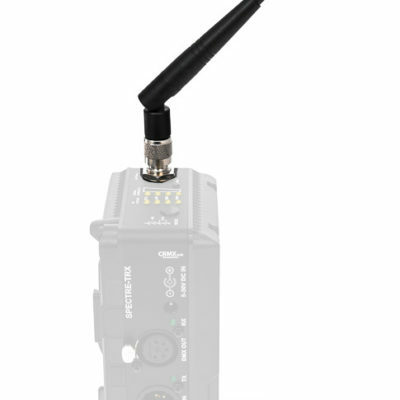 Operating on the LumenRadio protocol, TRX-V is cross-compatible with all Cinelex products.